Nighttime work to widen the San Diego (405) Freeway over the Sepulveda Pass will begin Jan. 12, necessitating some full-lane closures during overnight hours, Metro announced Tuesday. 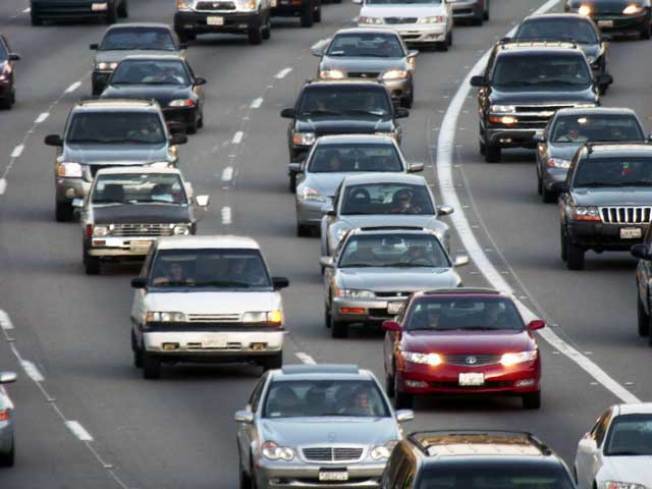 The construction project -- to create a 10-mile northbound carpool lane between the Santa Monica (10) and Ventura (101) freeways -- will undoubtedly result in travel challenges for motorists over a two-month period. A Metro statement warns as much, advising that "commuters, residents and businesses in the vicinity should now anticipate upcoming freeway construction impacts and begin planning needed travel alternatives and schedules." According to Metro, work will be done on weekdays only, from 7 p.m. to 6 a.m., and the first month will consist of setting up temporary traffic lanes along the 10-mile Sepulveda Pass freeway segment. Caltarns will close all lanes on various segments of the northbound stretch as work schedules require, according to Metro. But full freeway segment closures will only take place between the hours of midnight and 5 a.m., according to the transit agency. Beginning about Feb. 15, workers will begin placing concrete barriers on the 10-mile freeway shoulder to isolate the work zone from existing traffic, resulting in temporary lane closures. That part of the project is also estimated to take about four weeks and will also be done between the hours of 7 p.m. and 6 a.m. Drivers should expect ramp closures to start as early as 7 in the evening, followed by freeway lane closures at 9 p.m. Dates and locations of segment closures -- which will be subject to change -- will be announced in advance and posted at www.metro.net/I-405. Though detours and traffic control measures will be in place, Metro officials are encouraging motorists to plan to use carpools, vanpools and public transportation when available. To find a ridesharing partner, log onto www.commutesmart.info, and check out Metro's online trip planner at metro.net to seek available public transportation alternatives. The construction is part of a larger project to complete a continuous carpool lane on the 405 between the San Fernando Valley and Orange County -- expected to be finished in 2013.